A DOWNPATRICK hotelier and conservationist has slammed suggestions to bulldoze derelict public buildings in the town that are currently listed, writes Anne O’Hare. Noel Killen, owner of The Mill at Ballydugan has spent a lifetime specialising in the maintenance and restoration of local historical buildings and condemns claims made by Councillor Dermot Curran that the former 18thCentury Downe Hospital should be de-listed. Ideas for the redevelpoment of the old Downe Hospital are now under consideration. Mr Killen voiced his anger that more is not being done to safeguard Downpatrick’s built heritage. Speaking to Down News earlier this week he said: “I congratulate the Environment Agency for standing firm in their decision to protect the former hospital. “However, it appears that the South Eastern Health and Social Care Trust, were denied their appeal to have it de-listed . Are the arsonists and vandals in the town dictating the shape of their planning policies? This cannot be justified. Mr Killen described the cultural loss to the town if the decision was to be over-ruled in the future. He added: “Downpatrick was one of the few major towns in the province to have a hospital of this size. In its day it attracted an enormous influx of workers and was responsible for attracting much investment to the area. It possesses a lot of history. 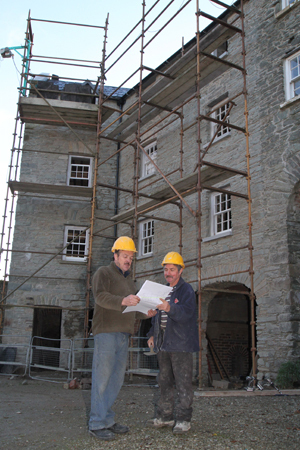 Noel KIllen, the owner of The Mill at Ballygugan, is pictured with conservation builder Norman Mulholland, as they look over plans of the most recent restoration works. Mr Killen added that former St John’s Residential Home that was recently gutted in an arson attack lies adjacent to the site of the old hospital and was just 45 years old and earmarked for demolition. Mr Killen concluded: “Over the last few years the South Eastern HSC Trust invested money to re-fit double glazed windows and new roofing. This is a terrible waste of public funds in light of its closure. Mr Killen is currently working on restoring a large building at The Mill at Ballydugan which was burned down in 1845 and has lain derelict since then. To date he has fully restored the main building, a lifetime task… and labour of love. Responding to the claims, Down District Councillor Curran said: “While I take this gentleman’s point in that old Downe Hospital has great historic interest, the site itself needs to be cleared. After all, it is only part of the former hospital site that is of historic value. A DHSSPS spokesman clarified the position regarding the heritage status of the hospital buildings to Down News, and said: “The old Downe Hospital has been declared surplus to needs. 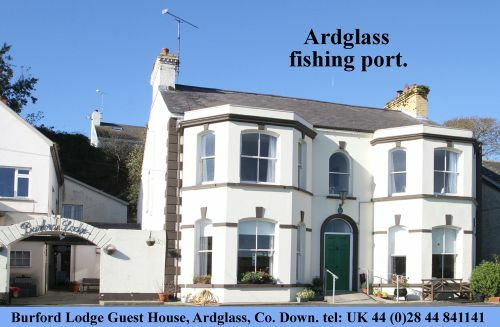 It sits on a prominent, elevated site close to the Downpatrick town centre and is approximately 6.5 acres in size. The site comprises the former Downe Hospital and St John’s Elderly Persons Home. St John’s was vacated in June 2012 and following a recent fire, asbestos has been removed, whilst the Trust arranges total demolition of this building. “The existing Downe Hospital Complex contains two listed buildings for which alternative use might be sought, following the relocation of the hospital to new premises within the Downshire campus. 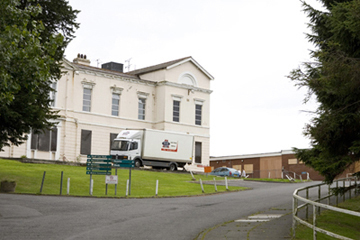 “The Infirmary Building which fronts Pound Lane is a Grade B2 listed and it would be hoped that more recent building additions or annexes could be stripped back to reveal the original Victorian Hospital with its axial entrance reinstated, although it is noted that many of the architectural features have been lost over the years due to remodelling for accommodation of clinical facilities. “The Fever Hospital is also a Grade B2 listed and due to its long use as the administrative hub of the hospital has retained some of its historic features.